The Canon EOS-1D X Mark II was rated by DXOMark recently and received the highest score for any Canon camera to date. My readers know I am not big on laboratory reviews and have just returned from my 2nd real world wildlife photo tour to the High Arctic testing the Canon EOS-1D X Mark II in the cold and sometimes damp Svalbard archipelago, deep inside the Arctic circle. My previous tour was to the hot and steamy Upper Amazon and Andean Highlands. Once again, I am impressed by the new body but now I have to take some time to get back to the daily routine, process the photos and get ready for my next trip to further test the camera in a different part of the world and environment. The following is an excerpt from the DXOMark test results. You can read my continuing review and full DXOMark review here. "The Canon performs exceptionally well. Not only does it have a wider useful dynamic range at base and low ISOs than the Nikon, it’s not far behind the Sony, and that small difference won’t be noticed in use. The Canon sensor continues to offer a wide dynamic range at every ISO setting, improving on the Sony from ISO800 onwards, and falling only slightly behind the Nikon’s strong performance from ISO6400 onwards. Indeed, the difference at most is around +0.6EV. Canon cameras are known for high ISO noise performance, and the Mark II surpasses both the Nikon and Sony by nearly +0.5EV." "This is a well-deserved result for Canon, and this versatile sensor should prove attractive to a wide range of photographers, including those that work in multiple disciplines. The wide dynamic range at low ISOs should appeal to all photographers, but especially those using it for landscapes, and the low noise at high ISOs will also appeal to action and sports photographers. Although the new model is aimed primarily at that market, the increase in pixel count over its predecessor now matches that of the earlier EOS-1Ds Mk III, a model that’s still highly regarded for editorial and commercial work. 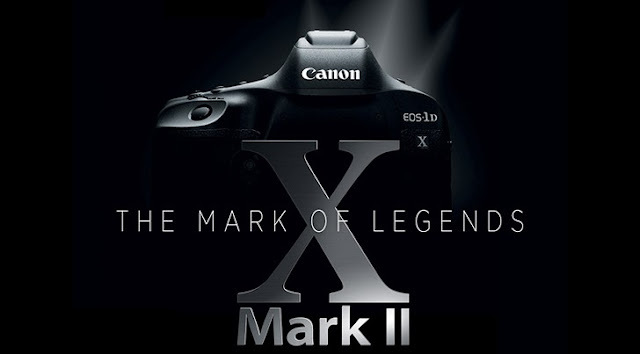 It is not too much of a stretch to view the new EOS-1D X Mk II as the natural successor to that camera, and its wide range of capabilities, including DCI 4K video, make it look highly tempting. Sure, it would have been great to see a higher pixel count, but overall, the sensor performance offers photographers the versatility to tackle a wide range of assignments with just one camera."